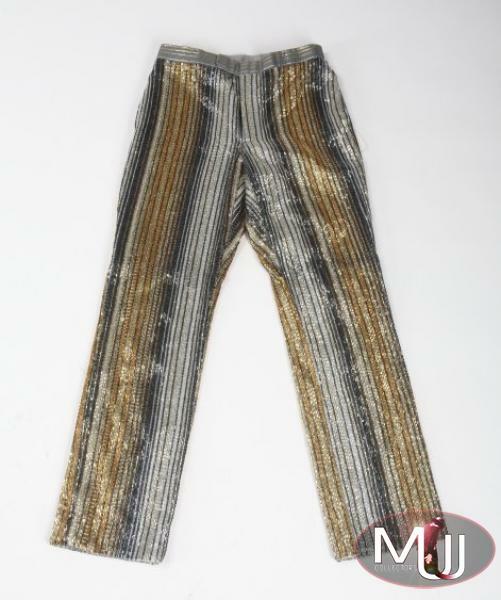 Custom pair of pants with gold, silver and marcasite bugle beads, zip and front tab closure. 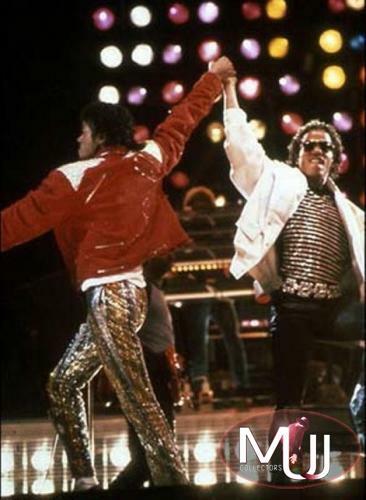 Michael wore these pants during The Jacksons’ 1984 Victory Tour. Made by Bill Whitten's design workshop.